Stay Informed with NotifyLA | Arleta Neighborhood Council Stay Informed with NotifyLA | Arleta Neighborhood Council | Making Arleta, CA the Greatest Neighborhood in Los Angeles. One Day at a Time. The City of LA’s Emergency Management Department encourages you to sign up to receive free emergency alerts from the NotifyLA program. NotifyLA is a free emergency alert system that sends you life-saving safety information during emergencies and disasters. NotifyLA also keeps you up-to-date with relevant information about local emergencies and hazards like earthquakes, floods, fires and evacuations. It is the city’s best tool to send you emergency alerts and provide you with the information you need to keep yourself and your family safe. Simply text NOTIFYLA (one word) to 888-777 right now to register your cell phone. Be sure to sign up on every cell phone in your family, and tell your friends to sign up too! 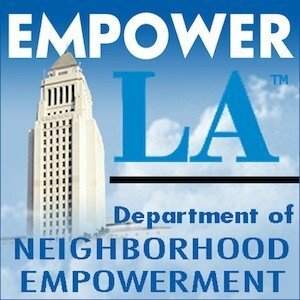 You can also visit emergency.lacity.org/notifyla to register your home phone, additional cell phones and your email address.